A Thai court announced on February 11 that Bahraini soccer player Hakeem al-Araibi will not be extradited to Bahrain. A worldwide movement lobbying against his extradition emerged after his arrest in November 2018 by Thai authorities responding to an Interpol Red Notice requested by Bahrain. Al-Araibi’s sentencing by Bahraini authorities is believed to be politically motivated and the result of him using his platform as an athlete to advocate for democratic reforms and rights for Shia muslims in Bahrain. If extradited, human rights activists expressed concern that al-Araibi would face torture and abuse by government authorities. Extradition under such circumstances, they argued, would violate anti-refoulement laws. Al-Araibi will be allowed to return to Australia, where he is free to live and travel abroad with his wife under refugee status. After last week’s murder of a pregnant Ecuadorian woman by a Venezuelan migrant, Ecuador now requires all Venezuelans to provide documentation of their criminal histories. Ecuadorian President Lenin Moreno announced he will create “units” to check the legality of Venezuelans living and working in Ecuador. Vice President Otto Sonnenholzner emphasized that Ecuador will work to differentiate between Venezuelan migrants escaping Maduro’s government and those “who take advantage of the situation to commit crimes.” Ecuador’s government called on citizens not to commit acts of violence against Venezuelans, but Venezuelan community officials reported an assault on Venezuelan women and children at a bus terminal. The Thai Raksa Chart party faces a potential ban by the Election Commission following a petition calling for its disqualification. The party announced on February 8 that Princess Ubolratana (pictured) would be its only candidate for prime minister on the March 24 ballot. The election will be the first since a 2014 military coup overthrew the caretaker government of Prime Minister Yingluck Sinawatra. Just hours after Princess Ubolratana announced her candidacy, King Maha Vajiralongkorn, her younger brother, said that it is “inappropriate...and unconstitutional” for any royal to be involved in politics. According to Reuters, electoral law in Thailand bans the monarchy from being used in electoral campaigns. The Thai Raksa Chart party is affiliated with supporters of ousted former-Prime Minister Thaksin Shinawatra, whose government was also overthrown by a military junta in 2006. The party’s dissolution could allow pro-military political parties to occupy more seats in the House of Representatives. The decision by the Election Commission is due to be announced by February 15. The Turkish Foreign Ministry released a statement on February 9 rebuking the internment of Uyghurs in China’s Xinjiang province. In August 2018, a United Nations human rights panel said that it had credible reports of over a million Uyghurs, who are predominantly Muslim, being held in political re-education camps in China’s westernmost province. The statement appears to be in response to the reported death of Uyghur musician and activist Abdurehim Heyit due to torture while he was being held in a camp. On February 10, however, China Radio International’s Turkish website released a video of what appears to be Heyit claiming to still be alive. A Twitter user discovered discrepancies in the video’s metadata, suggesting that it may have been doctored. Nevertheless, the Turkish government explicitly condemned China for its human rights abuses against Muslim minorities in Xinjiang in one of the first such rebukes from a Muslim-majority countrie, most of which have been silent since the camps began in 2017. Anti-government protests in Serbia continued for the tenth consecutive week on February 9. In dozens of cities across the country, activists, academics, students, and political opponents on the left and right organized in protest of President Aleksandar Vucic’s administration. Organizers believe his government is showing signs of sliding toward autocracy and cite increases in political violence and fear tactics allegedly employed by government supporters. 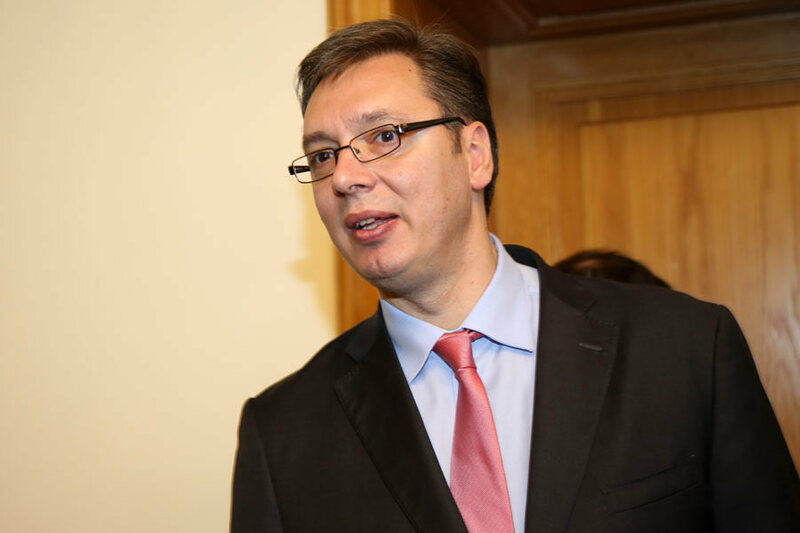 Vucic (pictured) has indicated a willingness to hold snap elections to address demonstrators’ concerns, but his opponents see it as an untenable option. Instead, they are demanding a “transitional government” of experts to oversee the stabilizing of government institutions before fresh elections are held. Guillaume Soro, the president of Ivory Coast’s National Assembly, announcedon February 8 that he would be stepping down following a meeting with President Alassane Ouattara (pictured). Observers believe the resignation signals his intention to run for president in the 2020 general election. It is unclear whether Ouattara will run for reelection, but he has said he will if his bitter rival, former-President Laurent Gbagbo, chooses to run again. Gbaggo was recently acquitted of crimes against humanity at the International Criminal Court in The Hague. Soro’s supporters have been urging him to run for president, and pundits view Soro, who is only 46, as representative of a younger generation eager to move past decades of political instability and civil war. The United Kingdom has signed a deal with Switzerland that ensures the two countries will continue to have the same preferential trade terms they currently enjoy. This is one of many bilateral trade deals that the United Kingdom hopes to sign with countries in a post-Brexit world to ensure that preferential rights accorded to European Union member states are extended. However, with Brexit drawing closer and closer, the U.K. has only renewed agreements with the Faroe Islands, Eastern and Southern Africa, Chile, and now Switzerland. There is increasing fear over the fate of mooted deals with Japan and South Korea. Writing contributed by Ben Richmond and Benjamin Barth.